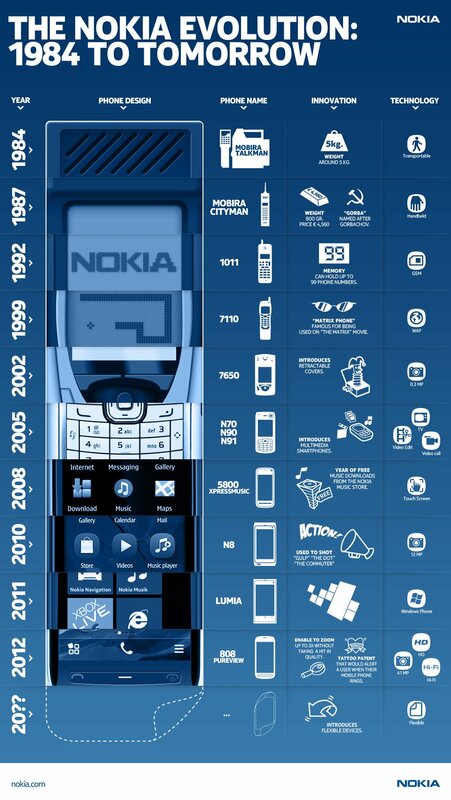 Check out this super cool Nokia Evolution infographic. Loving the 20?? placement for the flexible device. Can Nokia ever bring that to marker quickly enough and make it relevant? Cheers @BST_1, for the tip!